The British Psychology Society points us to yet another study about the positives of being bilingual. Read here to find out more about research done at the Univeristy of Granada and the University of York in Canada, which presented on the benefits of raising children to be bilingual, specifically how it can boost one’s memory. This entry was posted in Linguistic Links and tagged bilingual children, Bilingualism, British Psychology Society, memory, University of Granada, University of York, working memory on March 15, 2013 by BRL. Does raising your kids to speak two different languages confuse them? Read on at 2 Langauge 2 Worlds to find out in this study done on 606 five-year old children. The impetus of the study is to look at code-mixing in children with and without language impairment. 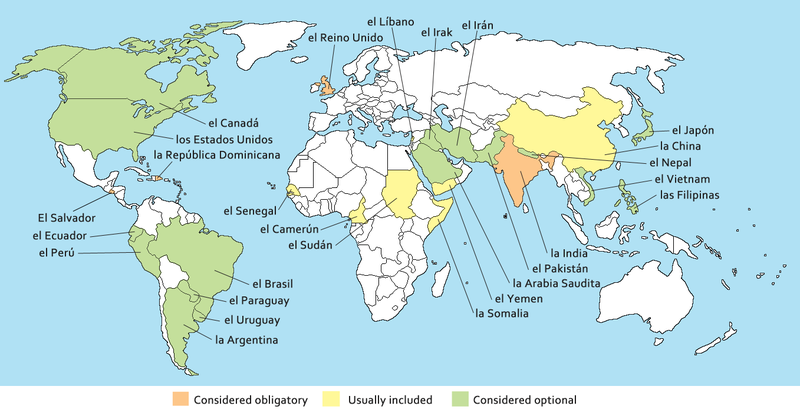 This entry was posted in Linguistic Links and tagged Bilingualism, Children, code-mixing, codeswitching, English, research, Spanish on March 1, 2013 by BRL. According to the Journal of Neuroscience, bilinguals are able to perform tasks at a faster rate compared to monolinguals. The study showed that this was so because bilinguals are used to switching back and forth from one language to another. As a result, older adults at assisted living communities are encouraged to learn a second language to help decrease cognitive decline. You can read about it more at the Sunrise Senior Living Blog. This entry was posted in Linguistic Links and tagged Bilingual, Cognitive Abilities, Education, Neuroscience, Second Language, Seniors on February 12, 2013 by BRL. It’s all in the vowels. So says linguist Corrine McCarthy from George Mason University. She recently spoke to WBEZ’s Curious City about the Chicago accent. But those vocalic peculiarities, as exhibited to comedic effect by an SNL sketch about Bears super fans, are only just the tip of the linguistic iceberg. You can read (or listen to) the entire post to learn more about what other dialects are home to Chicago. To answer the initial question, though, of where our unique accent comes from, UIC’s own Richard Cameron is quoted as saying that a likely possibility is that “the first dialect that gets [to a place] seems to win.” In our case then, it seems that that would be New Englanders in the mid-1800s. This entry was posted in Linguistic Links and tagged accent, Bears, Chicago, Chicago accent, Corrine McCarthy, Curious City, Dialects, Richard Cameron, SNL, UIC, vowels, WBEZ on November 9, 2012 by BK. This entry was posted in Linguistic Links and tagged anglicization, Bilingual, definite article, definite articles, English, Linguism, native language, Spanish, The Independent, Ukraine, world nations on October 10, 2012 by BK. The competitive spirit of the Olympics is spreading even to linguistic levels. Apparently some are perturbed by the growing trend to use ‘medal’ as a verb now, as in Danell Leyva medalled in the men’s all-around, instead of saying that athletes ‘win medals’. A silly debate for sure as not only is this a very productive phenomenon in the English language (see also ‘friend’ instead of ‘add as friend’, ‘text’ instead of ‘send text message’, etc. ), but even the Oxford English Dictionary has accepted it as a verb for years. Read more about it The National. 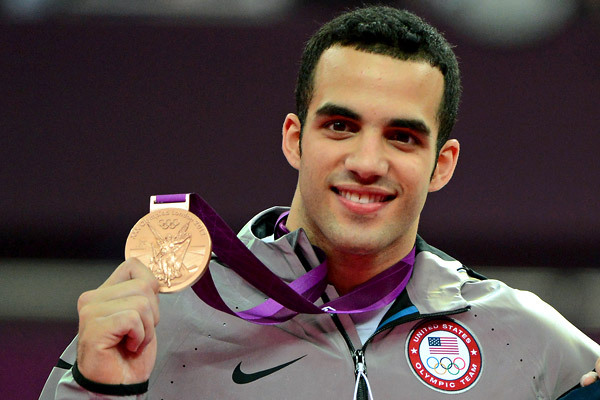 This entry was posted in Linguistic Links and tagged Danell Leyva, dictionary, English, Morphology, Olympics, verbs on August 10, 2012 by BK. In Puerto Rico, where both Spanish and English are now co-official languages, the new school year has begun and with it comes the start of the commonwealth’s new bilingual education program. Starting yesterday, math and science in 32 different pilot schools will switch to being taught in English. Visit Hispanically Speaking News to find out why the switch is underway and why not everyone is in favor of the change. This entry was posted in Linguistic Links and tagged Bilingual, bilingual education, bilingual education program, English, Puerto Rico, Spanish on August 9, 2012 by BK.